Fitting Position : Front Axle. Required quantity : 1. SUBARU 725191630. SUBARU 725191360. SUBARU 725191221. SUBARU 725191220. SUBARU 7251-91631. NISSAN DA06013A85KE. Brake Disc Thickness [mm] : 16. Fitting Position : Front Axle. SUZUKI 55251-64B20. SUZUKI 55251-64B01. SUZUKI 55251-64B00. SUZUKI 55251 64B20 000. SUZUKI 55251 64B10 000. SUZUKI 55251 64B01 000. NISSAN BLUEBIRD (910) 1.6 Saloon Petrol 01/1980 11/1983 RWD 8 82 60. NISSAN BLUEBIRD (910) 1.8 Saloon Petrol 01/1980 12/1983 RWD 8 88 65. NISSAN BLUEBIRD (910) 2.0 D Saloon Diesel 01/1980 12/1983 RWD 8 60 44. Brake Disc Thickness [mm] : 14.5. Fitting Position : Front Axle. NISSAN L1060-W2226. NISSAN L1060-W2225. NISSAN DA06MD1485. NISSAN DA060D1486. NISSAN DA060D1485KE. NISSAN DA060D1485. Brake Pads Set Front ADN14204 Blue Print. Part Number ADN14204. 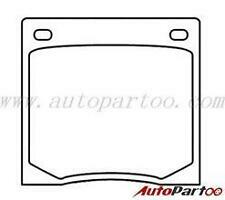 NISSAN 41060-13A25 4106062A90 725191990 AY040FJ005 AY040KE204 D106M67A90. MAZDA V9118N039. Function Brake Pad Set, disc brake. Blue Print ADN14204AF. LUCAS GDB288AF / POWERTRAIN PBDF293 FRONT BRAKE PADS. (X-REF TO VECO VA257). Part No : PBDF293. Subaru (LCV) Sumo 1.0. Nissan Skyline DX (JR30) 82-89. Subaru Justy 1.0, 1.2 84-90. Subaru SUMO VAN 1.0 (2WD) 997 KJ5 EF10 88-8/89. Part No: Lucas GDB197. NISSAN TSURU I (B11)1982 - 1990. NISSAN SUNNY Estate (B11)1982 - 1990. New Front Brake Pad Set. Nissan (1977-1990). NISSAN PULSAR (N12)1982 - 1987. NISSAN STANZA Saloon (T11)1981 - 1985. (X-REF TO VECO VA069). NISSAN LAUREL 2.0 1998 C230 77-81. NISSAN LAUREL 2.4 SGL 2393 C230 5/79-81. NISSAN SUNNY 1.5 1488 B310 81-83. 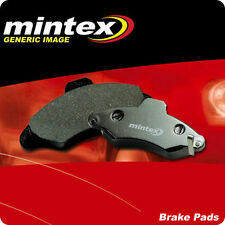 UNIPART GBP675AF REAR BRAKE PADS. NISSAN PICK-UP 1.6 (2WD) 1596 720 79-81. APEC BRAKE CALIPER. APEC BRAKE DISC & PADS KIT. APEC BRAKE HOSE. APEC BRAKE MASTER CYLINDER. APEC WEAR INDICATOR, BRAKE PAD. APEC WHEEL BRAKE CYLINDER. 2 Year Warranty Apec Brake Disc (Pair) and Pads Set DSK108 - PAD379. Brake System Akebono. IN DOUBT WHETHER IT WILL FIT?. We always will do the best for both sides to be happy! AND WE WILL DIRECT. YOU TO CORRECT PARTS! (incl: NORWAY & SWITZERLAND). Any problem will be resolved regarding our support team.